SURIGAO CITY, Surigao del Norte, Mar. 31 (PIA) - It’s all systems go for the Siargao International Game Fishing Tournament which is set on April 6-9, 2017 in Pilar town, Siargao Island. Now on its 10 years, Provincial Tourism and Culture Officer Ivonnie B. Dumadag said all are now ready, including side events that the local and foreign tourists can enjoy aside from game fishing. She said that about 75 anglers from the Philippines and abroad are expected to compete for the following categories: Biggest Billfish, Biggest Talakitok, Biggest Wahoo/Tangigue and Biggest Dorado. Cash prizes and trophies are up for grabs for the biggest catch in the island. Dumadag said other side events are lined up for tourists and residents to enjoy, these include: Game Fishing Art Workshop (elementary school), On the Spot Poster Making Contest (elementary and secondary), Photo Exhibit “Celebrating a Decade of Game Fishing”, Tiange-Tiange sa Siargao, Siargao Island Discovery Tour, 1st Siargao Invitational Photo Shoot Competition, Catch and Release Tournament (elementary and secondary level), Lip-Lipan Cooking Contest, Zumba na Pilarnon, Pahugjaw sa Siargao (sayawitan nan barangay, creative dance contest, hip-hop dance competition), Surigao del Norte Inter-Municipality AVPs Competition, 1st Pliar Baroto Race, Paduwa sa Barangay, LGBT Pilar Triathlon (running, swimming, boating), and Siargao International Game Fishing Electro Night Party. “Every year towards the end of April or the beginning of May, Siargao hosts this international sport fishing tournament. One of the features of the tournament is that competitors are encouraged to hire local fishing boats, completes with local fishermen as captains and guides,” said Dumadag. Dumadag added that the sport fishing tournament aims to provide additional income for the community, through boat hire and from visitors who will usually stay in a well-managed “home stay” accomodation offered by the townfolks, but it also offers a unique cultural exchange opportunity that has been cited as one of the significant benefits of the overall event. TANDAG CITY, Surigao del Sur, Mar. 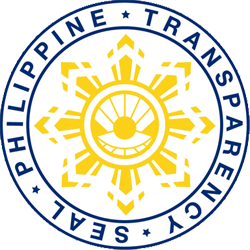 31 (PIA) – The Department of Trade and Industry (DTI) Surigao del Sur Provincial Office has warned the public against fraudulent investment schemes operating in the province. 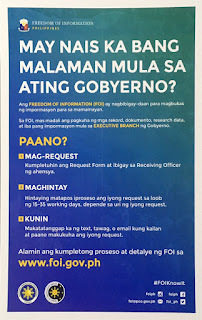 Based on the documents sent to Philippine Information Agency (PIA), the KAPPA or Kabus Padatoon and Programme Blessing for Filipino People Association Incorporation are not authorized to solicit investments from the public. The DTI advisory stated that KAPPA, founded by Joel Apolinario, is currently operating in Bislig City. Accordingly, they were collecting investments from the public with a promise that the 30 percent of one’s investment will be paid back every month until forever to their client. SEC also certified that the Programme Blessing for the Filipino People Association Inc. operating in Caraga region is registered with the Commission as a non-stock corporation on September 2016, and clearly stated of being no secondary license. The corporation is not authorized to solicit any investments from their client. BUTUAN CITY, Mar. 31 - The Disaster Preparedness (DP) Committee of the Regional Risk Reduction and Management Council (RDRRMC) – Region 13 (Caraga) chaired by the Department of the Interior and Local Government (DILG) reminds the local government units (LGUs) to be on full force in disaster preparedness and readiness during its 1st Quarter Disaster Preparedness Committee Meeting on March 24, 2017 at Prince Hotel, this city. DILG Caraga assistant regional director Donald A. Seronay emphasized that preparedness saves lives and mitigate damage to assets, which calls for the need of LGUs to comply with the disaster preparedness minimum standards set forth by the Department. Having faced with several disasters starting early this January, from the Tail-End of the Cold Front (TECF), Low Pressure Area (LPA) and heavy rains which caused flooding in the areas of Agusan del Sur, Surigao del Sur, Surigao del Norte and Butuan City aggravated by the earthquake in the province of Surigao del Norte, the Department is pushing every LGU to comply with the minimum standards of disaster preparedness, observe the expedient utilization of the disaster funds, and follow strictly the Operation L!STO protocols. As Vice Chair for Disaster Preparedness, the DILG takes the lead in ensuring that LGUs are fully equipped with the necessary skills and capability to face and survive hazards, as well as cope with the impact of disasters. Part of the meeting is the engagement of member agencies in Climate Change Expenditure Tagging (CCET) with the Department of Budget and Management (DBM), Listong Pamayanan with the conduct of Community Drills by the Philippine Public Safety College (PPSC), Listong Pamilyang Pilipino by the Department of Social Welfare and Development (DSWD) and the reproduction of disaster risk reduction/climate change materials for advocacy and information campaign by the Office of Civil Defense (OCD). BUTUAN CITY, Mar. 31 - The Philippine National Police (PNP) Civil Security Unit 13 caravan is going around the region to receive application for License to Own and Possess Firearms (LTOPF) and for the delinquent gun owners to have their expired LTOPF renewed. The caravan has started at Police Regional Office 13 in Camp Rodriguez, Libertad, this city on March 27-28. The caravan will be at the following PNP provincial headquarters: Agusan del Sur Police Provincial Office (PPO), Prosperidad, Agusan del Sur on March 30-31, 2017; Surigao del Sur PPO, Tandag City, Surigao del Sur on April 3-4, 2017; Surigao del Norte PPO, Surigao City, Surigao del Norte on April 6-7, 2017; and Dinagat Islands PPO, San Jose, Dinagat Islands on April 11-12, 2017. “This caravan is launched to make it easier for gun owners to apply for the firearm license or to renew their expired gun licenses,” Chief Supt Rolando Felix, Caraga Police director said. SAN JOSE, Dinagat Islands, Mar. 31 - The Provincial Tourism and Culture Office - technical working group (PTCO-TWG) of Dinagat Islands conducted a two-day workshop on the formulation of Provincial Tourism Development Plan (PTDP) held at the Provincial Guest Center, Cuarinta, San Jose, this province. The two-day activity aims to present and discuss the drafted Disaster Risk Reduction and Climate Change Adaptation - enhanced PTDP 2016-2025 for its finalization and formulate plans on product prioritization and identify needs assessment and costing. During the said activity, workshop facilitator Carlos Libosada, Jr. of the University of the Philippines and the Asian Institute of Tourism, who is known as the "Father of Philippine Eco-Tourism,” discussed the importance of tourism planning, ecotourism and beach management, which are very essential in drafting tourism plans. BUTUAN CITY, Mar. 31 - The Office of Civil Defense (OCD) Caraga spearheads the Workshop for the Development of Caraga RDRRMC Manual of Operations on March 29-31 at Almont City Hotel, this city. A total of 52 RDRRMC member-agencies participated in the said workshop facilitated by Graziella C. Harting of NEDA Caraga. "I am very thankful for the commitment you have shown as we develop the Manual of Operations of our Regional DRRM Council. Thank you for answering our call and for letting yourselves be involved in this initiative," expressed by Dir. Rosauro Arnel Gonzales, RDRRMC chairperson and OCD Caraga regional director, during the opening program. "The manual of operations is our guide in executing and setting our mainframe of rules and regulations so as to ensure consistency of DRRM-related efforts at the regional level," added Gonzales. "The workshop will enable us to describe the specific roles, functions, duties and responsibilities of the RDRRMC, Technical Working Group, the four Thematic Area Committees (Preparedness, Prevention and Mitigation, Response and Rehabilitation and Recovery Committees) and Local DRRMCs as well as the rules and procedures, systems, processes and protocols governing its operationalization," Harting explained.